Hardy’s 170-year history began in earnest in 1849 Glasgow when our Scottish patriarch Daniel Buchanan fashioned a watch for Queen Victoria’s presentation to her son, Edward the Prince of Wales, earning the title “By Appointment to Her Majesty”. 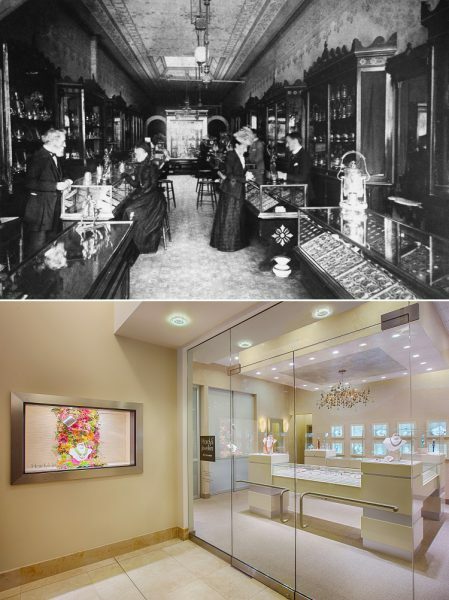 The Buchanan’s move to America in 1886 and their opening in Richmond, Virginia allowed for the further expansion in 1907 by third generation jeweller Samuel D. Hardy to Norfolk, Virginia. His son, George Buchanan Hardy continued the tradition as the fourth generation and moved the Norfolk store to a new Virginia Beach location in the 70s. Elizabeth Hardy graduated from the University of North Carolina and the Gemological Institute of America in New York City. Hired as a senior staff gemologist, she also taught graduate gemology at the Institute. Joining her father George in the late 80s, Elizabeth became the fifth generation owner of Hardy’s. Each generation of Hardy’s has always embraced the zeitgeist of jewelry, working with established master craftsmen as well as emerging artist­s – all united by their skills as designer and thinker. Hardy’s believes jewelry is not just a commodity tied to the value of a metal or gem. it is an art form – a medium of expression meant to be worn.